An Bakkes was only 34 years old when she was first diagnosed with Level 4 metastatic cancer. She was also pregnant with her first child, a boy. The shock of the diagnosis was one that her doctor couldn’t bear to give her when he first found out. “My doctor postponed my appointment until the end of the weekend because he didn’t know how to tell a pregnant woman she has level 4 cancer,” remembers An. She went through the remaining months of her pregnancy and gave birth to a healthy baby boy, Luca, 27 weeks later at Kingsbury Hospital in Cape Town. It was a huge relief to her and her family that he was born cancer-free. However, for An, her journey had only just begun. Two years later, just when she found out that she was pregnant with her second child, her cancer resurfaced. Because An was pregnant when she received both her diagnoses, she could not receive any cancer treatment while she carried both Luca and Emma to term. So, while she was pregnant, the cancer was removed through a series of skin scrapes and surgical operations at Cancercare’s Constantiaberg unit. 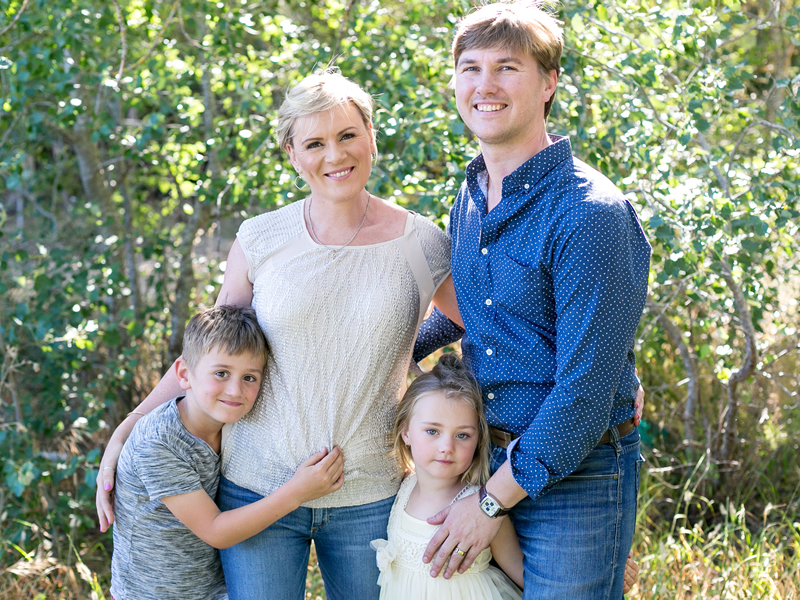 Throughout her second pregnancy and the arduous cancer treatments she received, An’s husband Tiaan and her friends provided her with incredible support. They were there through every moment and every part of the ordeal, and they shared her joy when baby Emma was born, also cancer-free. Throughout both her cancer ordeals, An battled with anxiety and fear. Understandable emotions considering what she was going through and the terrible timing of each diagnosis. But instead of enduring her anxiety, she decided to develop a model that would help other people to live with their fear. An wrote a book entitled Embracing Anxiety: Coming back with hope, and it details her cancer story and provides others with tools and insights to help them overcome their own fears. Every chapter is designed to provide practical examples that help readers to face their fears and anxieties in their daily lives. On 07 April 2018, An will be celebrating her seventh year cancer free. When Emma was three months old, the last cancer was removed from her body and she has remained clear ever since. An’s story is the very definition of hope. She overcame huge obstacles to be where she is today, and she is incredibly grateful. Today An is grateful for her two healthy children, a new life, a fresh understanding of cancer and its impact on other people’s lives, her wonderful husband and family, and her ability to use her story to help others overcome their fears.